MSRP $69,400. Lease for 24 months with $6,019 due at signing plus tax, tag and license plus first payment upfront. No security deposit required, with approved credit. Extra charges may apply at lease termination. 10,000 miles per year. Expires 4/30/2019. MSRP $58,830. Lease for 36 months with $5,129 due at signing plus tax, tag and license plus first payment upfront. No security deposit required, with approved credit. Extra charges may apply at lease termination. 10,000 miles per year. Expires 4/30/2019. MSRP $99,230. Lease for 36 months with $10,819 due at signing plus tax, tag and license plus first payment upfront. No security deposit required, with approved credit. Extra charges may apply at lease termination. 10,000 miles per year. Expires 4/30/2019. Fill out our quick credit application for a new or pre-owned vehicle today. From the moment you step into our dealership to the second you drive off in your new vehicle, our team is here to make sure you have a superior shopping experience. Whether you’re browsing for a new or used vehicle, looking to secure a car loan, coming in for auto repair or simply picking up an automotive part for your luxury Porsche, we’re here to help. Browse our website for great offers on new, Certified Pre-Owned (CPO) and quality pre-owned vehicles. Once you find that perfect model, you can give us a call or stop in today. We look forward to helping you with all of your automotive needs. 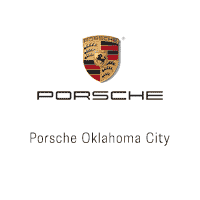 Porsche Oklahoma City is your preferred Oklahoma City car dealership proudly serving all drivers in the area. Once you pick your favorite, stop by our luxury Porsche dealership and let our friendly sales team walk you through all of the vehicle’s functions and take you for a test drive. You can also take a look at our new online vehicle specials, get in touch with our sales team by calling (888) 605-4660 or stop by today and let us help get you into your new Porsche today. If you’ve been looking for some of the best available used cars in Oklahoma City, then look no further. Porsche Oklahoma City offers a wide selection of used vehicles to fit every driver’s needs, all at affordable prices. We also offer Porsche-Approved Certified Pre-Owned vehicles backed by a Certified Pre-Owned Limited Warranty for even more value. The Porsche-Approved CPO Limited Warranty includes a 2-Year/Unlimited-Mileage Warranty, roadside assistance for 2 years, no deductible, a guarantee for only genuine Porsche parts to be used and more. Visit us today to learn more about this factory-backed Certified Pre-Owned Limited Warranty. Porsche Oklahoma City can help you take the stress out of auto financing. Our trained financial advisors are here to make sure you get the best car loan available. Call or stop by our finance center today to discuss possible auto loan terms and let our team get you the best monthly payment. Our financial advisors will look up your credit report and credit history and determine the best possible finance options to get you in a new or used vehicle. Worried about bad credit or a low credit score? Don’t be. Our specialized financial advisors work with multiple credit agencies to help you get the best terms and conditions available for your new car loan. You can even get started right now by applying for financing online with our easy-to-use application. We also offer a convenient auto loan calculator that allows you to figure out your monthly payments based on several factors including down payment, loan amount, loan term, interest rate, and possible trade-in value. Our Porsche service center is here to help you with any and all of your automotive service and repair needs. We have a great team of certified service technicians that stay up-to-date with all of the latest specialized technologies and are available to handle all of your vehicle maintenance and repair needs from oil change service to more complex repairs. Our parts department knows that you need genuine manufacturer parts to keep your high- performance vehicle in the best condition. If we don’t have the right part currently in stock, we will put in an order for it and get it to you as soon as possible. 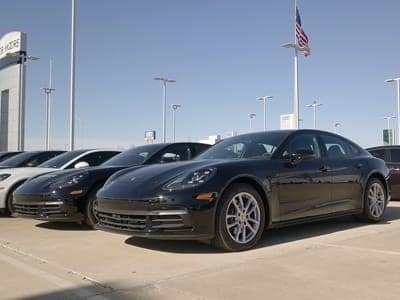 Porsche Oklahoma City offers an extensive selection of new and Certified Pre-Owned Porsche models as well as a premium selection of used cars, trucks, and SUVs. Stop in today and take one for a test drive and let us show you a shopping experience you’ll remember. Explore our website for even more information on all our products and services. Our Oklahoma City car dealership proudly serves all customers in the Oklahoma City area and beyond.